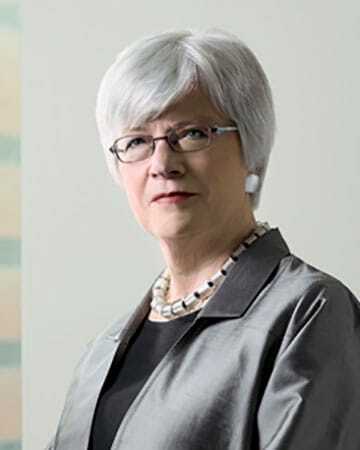 Dr. Martha Hill served as Dean of the Johns Hopkins University School of Nursing from 2001 until early 2014 and has been a member of the faculty since the School was established in 1983. As an educator, she is known for her mentorship of students and junior faculty members; as a researcher, for her investigations in preventing and treating hypertension and its complications, particularly among young, urban African-American men. Her expertise in community-based participatory research focuses on the integration of multi-professional health care to improve treatment and outcomes for vulnerable and underserved populations. She has been an active investigator, mentor, and consultant on numerous National Institutes of Health-funded clinical trials and is recognized around the globe for her research projects including “Comprehensive HBP Care for Young Urban Black Men,” “Barriers to HBP Care and Control in Black South Africans,” and “Research Training in Health Disparities in Underserved Populations.” Dr. Hill is a member of the Institute of Medicine and serves on the IOM Council and the Board of Directors of Research! America. From 1997-1998, Dr. Hill served as President of the American Heart Association, the first of two non-physicians to be named to that position. She is a professor of nursing, medicine, and public health.